Can Your Pets Call 911? to be plugged into your wireless router. Connects your sensors to our central monitoring station and your smart phone. Which Monitoring System Is Right For Me? What is Pro Monitoring Monthly? Pro Monitoring Monthly- You get the instant mobile alerts mentioned above as well as 24/7 Professional Monitoring by our offsite monitoring center which is connected through your home’s wifi connection. When you receive the instant mobile alert, we do as well. If you acknowledge the alert as a false alarm, nothing further happens. If you miss that alert for whatever reason, we then call you and up to three other pre-selected emergency contacts before dispatching your local fire department and alerting them if you have a pet inside. If you’ve ever missed a phone call or text then this option is best for you. Every second counts in an emergency and a Monitoring Service can make the difference. Most homeowner’s insurance companies will discount your insurance premium for having this option and in most cases that discount covers the monthly cost of our service. 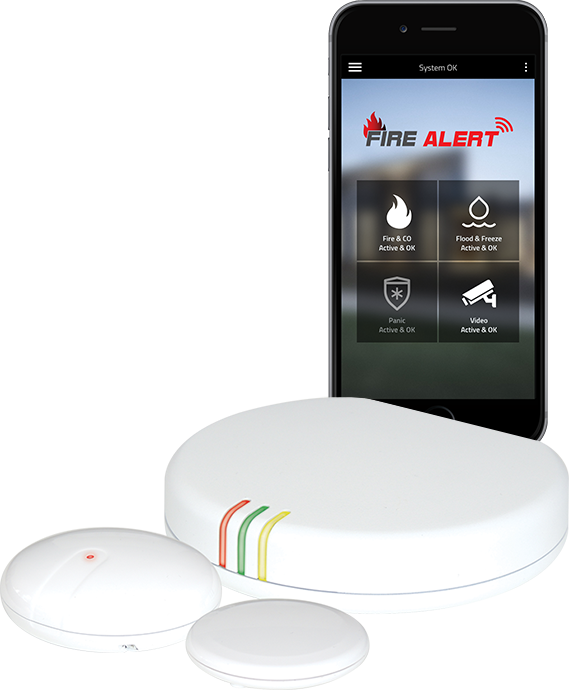 Self Monitoring – When one of your Fire Alert sensors detects either a sound from your smoke alarm/CO alarm, or detects water/freezing temperatures, you get an instant alert on your mobile phone as well as a text and email. Can your pet call 911? most damaging events in your home. everyone has a working smoke alarm. Online Monitoring Agreement (Terms and Conditions) This Online Monitoring Agreement (the “Agreement”) is by and between CGS Ventures Inc. DBA Fire Alert (“Fire Alert”), and the “Customer” named below. This Agreement will automatically renew on a month-to-month basis thereafter, as allowed by law, unless Fire Alert receives written notice of cancellation from Customer via the Fire Alert’s website or apps, or postal service or overnight mail. Customer may be required to show proof of delivery. Customer agrees to pay a monitoring andservice fee as shown at the end of this Agreement. Some jurisdictions may require a sales tax or similar tax on monitoring and service fees. If applicable, such tax will be added to the monthly monitoring and service fee. The monitoring and service fee is to be paid by Credit Card. If a credit card is being used for a transaction, Fire Alert may obtain a pre-approval from the credit card Fire Alert for an amount up to the amount of the order. Fire Alert accepts the following credit cards: Visa, MasterCard, and Discover. Fire Alert is unable to accept credit cards issued by banks outside of the United States. Debit cards and check cards have daily spending limits that may prevent the processing of your order. Fire Alert agrees to provide at an additional cost to Customer the “Equipment”. Customer acknowledges that (a) Fire Alert has described the Equipment and supplemental products and services available to Customer, (b) Customer desires and has contracted for only theEquipment, supplemental products and services listed herein, (c) additional detection devices are available and may be obtained from Fire Alert at an additional cost to Customer. Fees and Electronic Funds TransferCustomer agrees to maintain a credit card payment arrangement with Fire Alert for the entire term of the Agreement, including renewals. Customer authorizes Fire Alert or its assignees to initiate debit entries monthly from Customer's depository account or credit card for current and any past due amounts. If Fire Alert erroneously debits funds from Customer's approved account, Customer authorizes Fire Alert or its assignees and successors to initiate necessary credit entries to rectify error. A late payment charge from the due date at the maximum rate authorized by law in your jurisdiction will be charged on any part of service fees unpaid for 10 days after it is due. Customer is liable for Monthly Service Fees whether Equipment is on line or not on line with the Monitoring Facility. Monitoring Service.When selected on a Fire Alert order or Agreement, professional monitoring will be provided by an independent, licensed UL-listed alarm monitoring facility (the "Monitoring Facility"). When a smoke or carbon monoxide signal from the Equipment is received, the Monitoring Facility will attempt to telephone the emergency agency that Customer provided to Fire Alert, as permitted by law, plus an Emergency Contact provided by Customer to Fire Alert, per Fire Alert’s then current signal handling policy as published by the Fire Alert. When selected on a Fire Alert order or Agreement, text message, email, and smart-phone alerts (also known as self-monitoring) will be sent electronically by Fire Alert or the Monitoring Facility to the Customer and additional contacts as setup by the Customer using the Company’s mobile application. To avoid false alarms, the Monitoring Facility may contact Customer's premises first to determine if an actual emergency exists before calling any emergency agency. If the Monitoring Facility has reason to believe that no actual emergency exists, it may choose not to place such notification calls.Additionally, if the proper user code or user action is entered in the Fire Alert’s website or Fire Alert’s mobile apps, or a system sensor indicates a restoral of the condition, an abort or restoration code may be sent to the Monitoring Facility. In such instance, the Monitoring Facility may, but is not required to, notify Customer's premise, any emergency agency or Emergency Contact. Fire Alert may modify or discontinue any particular response service or notification procedures due to governmental or insurance requirements. Customer acknowledges and agrees that both Customer and Fire Alert are required to comply with all laws, rules and regulations regarding monitoring and alarm response enacted or adopted by the governmental authorities having jurisdiction over Customer's premises. If such governmental agencies, now or in the future requires physical or visual verification or multi-call verification (e.g. two-call verification) of an emergency condition before responding to a request for assistance, Fire Alert may, without notice, modify its monitoring procedures to comply with such requirements, and Customer may be required to pay an additional monthly fee in addition to the current monthly fee. SOME MUNICIPALITIES REQUIRE AN ALARM PERMIT AND MAY NOT DISPATCH EMERGENCY PERSONNEL IF THE PROPER PERMIT(S) IS NOT OBTAINED. SOME MAY REQUIRE THE PERMIT TO BE ON FILE BEFORE DISPATCHING EMERGENCY PERSONNEL. SOME JURISDICTIONS REQUIRE THAT THE ALARM PERMIT BE OBTAINED PRIOR TO THE INSTALLATION AND ACTIVATION OF THE EQUIPMENT. IT IS CUSTOMER'S SOLE RESPONSIBILITY, TO OBTAIN, PAY FOR, AND MAINTAIN ALL NECESSARY PERMIT(S). CUSTOMER UNDERSTANDS AND AGREES IF CUSTOMER FAILS TO MAINTAIN ANY REQUIRED PERMIT(S), Fire Alert WILL NOT BE HELD RESPONSIBLE FOR PERFORMING THE SERVICES AND MAY TERMINATE THE SERVICES WITHOUT NOTICE TO CUSTOMER. CUSTOMER ACCEPTS RESPONSIBILITY, AND WILL INDEMNIFY, DEFEND, PAY AND HOLD HARMLESS Fire Alert, FOR ANY AND ALL FINES AND PENALTIES ASSOCIATED WITH USING THE SYSTEM WITHOUT THE PROPER PERMITS. Some municipalities require a third party, other than the fire or emergency agency to respond to signals. Fire Alert does not provide third-party alarm response service. It is the responsibility of Customer to obtain third party response where required and pay for any costs associated with third party services. Customer will provide in writing the third party emergency contact information to Fire Alert. Limited Warranty. Equipment provided by Fire Alert has a Limited Warranty. Fire Alert warrants to Customer that Equipment provided by Fire Alert is suitable for originating signals to the Monitoring Facility and will be free of defects in materials and workmanship. Fire Alert will ship new or re-manufactured replacement parts for all defective Equipment provided by Fire Alert to Customer, at no charge for replacement parts, excluding batteries. This warranty period will be 12 months as long as Customer complies with the terms of this Agreement and the Equipment is monitored by Fire Alert. It is the responsibility of Customer to notify Fire Alert of any defective part within ten (10) days of the malfunction and to return any defective part to Fire Alert. To obtain Customer assistance Customer must call Fire Alert at the phone number shown on the Fire Alert’s website or mobile app. This Warranty does not cover damages as a result of any defect in or failure of Equipment due to any event or condition beyond Fire Alert’s control, such as misuse, negligence, accident, theft or unexplained loss, fire, winds, acts of God, breakdown or communications controlled or regulated by any third party, failure on Customer's part to test Equipment monthly, ANY EQUIPMENT NOT PROVIDED BY Fire Alert, any unauthorized repair or tampering, or in the event product is not used for its intended purposes. Equipment is designed to operate with the Monitoring Facility and may not work with other companies' services. Customer Assistance will be provided to Customer only if all monthly service and all other fees are current. Fire Alert DOES NOT WARRANT THE FOLLOWING (1) THAT THE EQUIPMENT OR THE SERVICE WILL NOT BE DISABLED, COMPROMISED OR CIRCUMVENTED; (2) THAT THE EQUIPMENT OR SERVICE WILL PREVENT ANY LOSS OF PROPERTY OR PERSONAL INJURY BY FIRE, CARBON MONOXIDE, WATER LEAKS, LOW TEMPERATURES OR OTHERWISE; OR (3) THAT THE EQUIPMENT AND SERVICE WILL IN ALL CASES PROVIDE THE DETECTION FOR WHICH IT IS INSTALLED. Fire Alert’s SOLE OBLIGATION, AND CUSTOMER'S SOLE REMEDY UNDER THE WARRANTY, IS REPAIR OR REPLACEMENT OF THE EQUIPMENT BY Fire Alert AS PROVIDED IN THIS SECTION. Customer agrees to test the Equipment monthly, in accordance with the instructions that Customer hereby acknowledges Customer has access or has received from Fire Alert, to ensure the system is functioning properly and the system is properly monitored. Some jurisdictions do not allow the exclusion or the limitation of consequential or incidental damages or a limitation on the duration of implied warranties, and the above limitations and exclusions are void in those jurisdictions. The warranty gives specific legal rights and there may be other rights that vary by jurisdiction. You may wish to consult with your attorney if you have questions about the applicable warranties and remedies in your state. Assignees / Contractors. Fire Alert shall have the right to assign this Agreement to any other person, firm, corporation or entity without notice to Customer and shall have the further right to subcontract any monitoring service or other services which it may perform. Customer acknowledges this Agreement, and particularly those paragraphs relating to Fire Alert’s maximum liability, third party indemnification and warranty limitations, inure to the benefit of and are applicable to any assignees or subcontractors (including Monitoring Facility and Collection Agency) with the same force and effect as they bind Customer to Fire Alert. Customer may not assign Customer's rights under this Agreement without Fire Alert’s written consent. Fire Alert may subcontract any part or all the obligations under this Agreement to third parties without the consent of the Customer. Limitation of Liability. CUSTOMER UNDERSTANDS THAT Fire Alert IS NOT AN INSURER OF THE SAFETY OF CUSTOMER OR ANY PROPERTY. CUSTOMER AGREES TO OBTAIN, AT CUSTOMER'S SOLE COST AND EXPENSE, ANY INSURANCE COVERAGE CUSTOMER DESIRES TO HAVE TO INSURE AGAINST PERSONAL INJURY, PROPERTY LOSS OR DAMAGES AT THE PREMISES WHERE THE EQUIPMENT IS LOCATED. Fire Alert SHALL NOT BE LIABLE FOR LOSS OR DAMAGE, RISK, INJURY, DEATH OR EFFECTS OF ANY HAZARD OR EVENT, PROPERTY LOSS OR DAMAGE DUE DIRECTLY OR INDIRECTLY TO ANY FAILURE TO DETECT OR AVERT AN OCCURRENCE OF AN EVENT THAT THE SERVICE IS DESIGNED TO DETECT OR AVERT. IN NO EVENT OR FAILURE THEREOF SHALL Fire Alert BE LIABLE FOR ANY SPECIAL, INCIDENTAL, INDIRECT, OR CONSEQUENTIAL DAMAGES, HOWSOEVER CAUSED, AS A RESULT OF THE DESIGN OR OPERATION OF THE EQUIPMENT OR FAILURE THEREOF OR NEGLIGENCE OF Fire Alert’s MONITORING FACILITY, Fire Alert’s AGENTS OR EMPLOYEES. THESE LIMITATIONS WILL APPLY TO ANY DAMAGES ARISING FROM ANY CLAIMS, INCLUDING, WITHOUT LIMITATION, CLAIMS IN CONTRACT, TORT, (INCLUDING GROSS NEGLIGENCE) AND STRICT LIABILITY EVEN IF Fire Alert HAS BEEN ADVISED OF SUCH DAMAGES OR POTENTIAL THEREOF AND CUSTOMER AGREES TO AND SHALL RELEASE, INDEMNIFY, DEFEND, AND HOLD HARMLESS Fire Alert, ITS EMPLOYEES AND AGENTS FOR AND AGAINST ALL SUCH CLAIMS, LAWSUITS AND LOSSES. CUSTOMER ACKNOWLEDGES THAT IT IS IMPRACTICAL AND EXTREMELY DIFFICULT TO AFFIX THE ACTUAL DAMAGES, IF ANY, WHICH MAY PROXIMATELY RESULT FROM Fire Alert’s NEGLIGENCE OR FAILURE TO PERFORM ANY OF THE OBLIGATIONS UNDER THIS AGREEMENT, OR THE FAILURE OF THE EQUIPMENT OR SERVICE TO PROPERLY OPERATE. NOTWITHSTANDING SECTION 6.1, SHOULD THERE ARISE ANY LIABILITY OF Fire Alert, IRRESPECTIVE OF CAUSE OR ORIGIN, CUSTOMER AGREES THAT Fire Alert’s LIABILITY TO CUSTOMER AND ALL OTHER PERSONS IS LIMITED TO AN AMOUNT EQUAL TO AND NOT EXCEED THE GREATER OF TWELVE (12) MONTHS OF THE MONTHLY SERVICE FEE SPECIFIED ON THIS AGREEMENT OR ONE THOUSAND AND NO/100 DOLLARS ($1,000.00). CUSTOMER FURTHER AGREES THAT THE AMOUNT STATED IN THIS SECTION 6.2 IS REASONABLE AND SHALL BE CUSTOMER'S SOLE AND EXCLUSIVE REMEDY. SOME JURISDICTIONS DO NOT ALLOW THE EXCLUSION OR LIMITATION OF INCIDENTAL OR CONSEQUENTIAL DAMAGES, SO THE ABOVE LIMITATION OR EXCLUSION MAY NOT APPLY. Limitations on Actions, Waiver of Jury Trial, Arbitration. Please read this paragraph carefully, as it affects important legal rights, including rights you otherwise may have in court. Fire Alert AND CUSTOMER AGREE TO ARBITRATE ANY AND ALL DISPUTES AND CLAIMS INCLUDING, BUT NOT LIMITED TO, CLAIMS BASED ON OR ARISING FROM ANY ALLEGED TORT, OR ARISING OUT OF OR RELATING TO AGREEMENT EXCEPT FOR THE COLLECTION OF MONIES OWED BY CUSTOMER TO Fire Alert UNDER THIS AGREEMENT. Arbitration of any dispute or claim EXCEPT for collection of past due accounts shall be conducted in accordance with the rules of the American Arbitration Association ("AAA"). The AAA rules and fee information are available from the AAA upon request. The parties agree to use a single arbitrator that is not affiliated with AAA. If the parties cannot agree on a single arbitrator, then each party shall select an arbitrator and those two persons shall select the single arbitrator. THE CUSTOMER IS RESPONSIBLE FOR THE PAYMENT OF ALL OF CUSTOMER'S COSTS AND EXPENSES IN CONNECTION WITH THE ARBITRATION, INCLUDING THE FILING FEE AND CUSTOMER'S COST OF TRAVELLING TO THE ARBITRATION SITE. UNLESS CUSTOMER AND Fire Alert AGREE OTHERWISE IN WRITING, THE LOCATION OF THE ARBITRATION SHALL BE IN SEMINOLE COUNTY, FLORIDA. UPON A WRITTEN REQUEST BY CUSTOMER, Fire Alert WILL NOT UNREASONABLY DECLINE TO HOLD THE ARBITRATION IN A LOCATION OTHER THAN SEMINOLE COUNTY FLORIDATHAT IS CONVENIENT TO CUSTOMER AND Fire Alert. Except where prohibited by law, Fire Alert and Customer agree that no arbitrator has authority to (1) award relief in excess of what Agreement provides, (2) award punitive damages or any other damages not measured by prevailing party's actual damages, (3) commit errors of law or legal reasoning, or (4) order consolidation or class arbitration. The Arbitrator must give effect to the limitations on Fire Alert’s liability as set forth in this Agreement. Customer agrees that Customer and Fire Alert are each waiving their respective rights of a trial by jury and Customer acknowledges that arbitration is final and binding and subject only to very limited review by a court. This arbitration provision does not apply to the collection of past due amounts owed by Customer to Fire Alert. Both parties hereby agree that no suit or action that relates in any way to this Agreement (whether based upon contract, negligence or otherwise) shall be brought against the other more than two (2) years after the accrual of the cause of action therefrom. In addition, if arbitration is not available, both parties hereby waive any rights to a jury trial in any judicial action by either party which relates in any way to this Agreement, whether based upon contract, negligence or otherwise. Indemnification. Customer shall release, defend, indemnify and hold Fire Alert harmless from and against any and all claims or liability relating to design, installation, or operation of Equipment, performance of Service, any risks losses, damages, injuries, death or other effects of any hazard or event that Equipment or Service is intended to detect or avert, or any act or failure to act on Customers part, including payment of all damages, expenses, costs and attorney's fees, whether such claims or liability be based upon negligence, warranty or strict product liability on the part of Fire Alert, its agents, servants, or employees (THE “INDENMNIFIED CLAIMS”). IF ANYONE OTHER THAN YOU (INCLUDING YOUR INSURANCE Fire Alert) DEMANDS THAT Fire Alert PAY FOR ANY LOSSES, AS DEFINED ABOVE, INCLUDING ATTORNEYS’ FEES ARISING OUT OF OR IN CONNECTION WITH, DUE TO, OR CAUSED IN WHOLE OR IN PART BY ANY INDEMNIFIED CLAIM, YOU SHALL INDEMNIFY, DEFEND AND HOLD Fire Alert, ITS DIRECTORS, OFFICERS, SHAREHOLDERS, EMPLOYEES, SUBCONTRACTORS, AGENTS AND REPRESENTATIVES HARMLESS (WITHOUT ANY CONDITION THAT ANY OF THEM FIRST PAY), FOR ALL LOSSES, AS DEFINED ABOVE,INCLUDING ATTORNEYS’ FEES, ASSERTED AGAINST OR INCURRED BY SUCH PARTY(IES). Customer Emergency Contact Information.Customer is furnishing to Fire Alert and will keep current Customer Emergency Contact Information. Changes or additions to Customer Emergency Contact Information shall be made by either online request in the Fire Alert’s website or mobile apps, written notice to Fire Alert, or Customer may request to update or change Customer Emergency Information by telephone providing Customer gives Fire Alert their password. Fire Alert, upon verbal receipt of password from Customer, is authorized by Customer to update or change Emergency Information. Fire Alert will not be held responsible for the accuracy of these telephone numbers or the failure of Customer to update or provide correct numbers. Customer authorizes Fire Alert to release information about the Equipment and Customer Emergency Contact Information to the appropriate agencies. Customer releases Fire Alert from any and all liability with respect to the accuracy or release of such information. Monitoring Facility has no obligation to attempt to contact any emergency agency or person other than the agency or person named in Customer's most recent Customer Emergency Contact Information or updated information provided by Customer to Fire Alert. CUSTOMER UNDERSTANDS THAT MONITORING FACILITY IS RESPONSIBLE ONLY FOR ATTEMPTING TO NOTIFY BY TELEPHONE THE PROPER AUTHORITIES OR EMERGENCY AGENCY OR OTHER PERSONS NAMED IN CUSTOMER'S EMERGENCY CONTACT INFORMATION. CUSTOMER UNDERSTANDS THAT Fire Alert OR MONITORING FACILITY WILL NOT SEND Fire Alert OR MONITORING FACILITY PERSONNEL TO CUSTOMER'S LOCATION IN RESPONSE TO ANY ALARM SIGNAL RECEIVED. CUSTOMER ALSO UNDERSTANDS THAT Fire Alert OR MONITORING FACILITY DO NOT REPRESENT OR PROMISE THAT ANYONE TELEPHONED WILL RESPOND TO THE CALL, AND CUSTOMER RELEASES Fire Alert AND MONITORING FACILITY FROM ANY RESPONSIBILITY OR LIABILITY FOR ANY FAILURE OR DELAY IN RESPONDING. Fire Alert WILL NOT BE HELD RESPONSIBLE IN THE EVENT THEY ARE UNABLE TO NOTIFY EMERGENCY CONTACTS PROVIDED BY CUSTOMER. Customer will indemnify, defend and hold harmless Fire Alert from and against any responsibility or liability for payment of any fine, penalties or other charges for any false alarms or signals. If Fire Alert reasonably determines that the Equipment is generating an excessive number of false alarms or signals, Fire Alert may, after notice to Customer, require Customer to pay a surcharge fee if the false alarms or signals continue after such notice. If the false alarms or signals continue after such notice and imposition of a surcharge fee, Fire Alert may terminate this Agreement after ten (10) days written notice to Customer. Customer authorizes Fire Alert to temporarily disconnect the monitoring service for nuisance or safety reasons if Fire Alert is unable to notify Customer or Customer's Emergency Contacts at the numbers submitted to Fire Alert by Customer or if Customer or Customer's Emergency Contacts refuse or fail to arrive at Customer's location within a reasonable amount of time. ALL FINES, PENALTIES OR CHARGES FOR FALSE ALARMS OR SIGNALS SHALL BE THE SOLE RESPONSIBILITY OF CUSTOMER TO PAY. Default / Termination. If Customer is in default of this Agreement for failure to pay any fees, charges or other amounts when due, or failure to perform any of the other Customer Obligations under this Agreement, and such default continues for ten (10) days after Fire Alert gives Customer written notice, If M Fire Alert’s aster's records indicate that Customer is past due or in default, Fire Alert is authorized to seek collection of the past due account. Customer agrees to waive the applicable provisions of the Fair Debt Collection Practices Act by allowing and requesting Fire Alert to contact Customer for the purposes of collecting a debt. Fire Alert may transfer any past due account to an independent third party collection agency for the purpose of collecting a debt. Customer will be responsible for paying the remaining applicable balance owed under the Agreement. Customer acknowledges that any attempts to collect a debt by a third party collection agency are not to be attributed to Fire Alert. If Customer defaults with respect to payment of Monthly Monitoring Fees more than two (2) times in any calendar year, or monthly monitoring fee becomes sixty(60) days past due, then Customer agrees that Fire Alert may terminate service. Fire Alert may draft Customer's account for the entire remaining balance, disconnect monitoring with prior notice or require Customer to pay yearly in advance for services. In addition, Customer agrees Fire Alert will have no liability if disconnection occurs due to a past due balance or otherwise. Fire Alert may suspend or cancel this Agreement, without notice and without liability or penalty in the event the Monitoring Facility, the communications facilities connecting Customer's location to the Monitoring Facility, or other equipment are destroyed by fire, catastrophe or by any other means, or are so substantially damaged that it is impractical to continue service; or in the event that Fire Alert is unable to either secure or retain the connections or privileges necessary for the transmission of signals between Customer's location and the Monitoring Facility and the law enforcement agency or other emergency contacts for any reason or cause whatsoever. Fire Alert assumes no liability for the interruption of the service due to any cause and Fire Alert will not be required to supply the Service to Customer while interruption of the Service for any cause continues and Customer is not entitled to any refund or credit of any charges for such interruption of service. Installation Requirements and Customer Duties. Customer shall provide a hard-wired connection to a Customer provided active internet broadband modem or router, and electrical outlet withinthree (3) feet of the location of the system gateway. THIS IS A DO-IT-YOURSELF INSTALLATION. Customer will follow all of Fire Alert’s instructions regarding installation, maintenance, testing and use of the Equipment, and Customer will not allow or permit alteration of the Equipment except in a manner approved in writing by Fire Alert. Customer agrees to pay all sales taxes, use taxes, goods and services taxes, property taxes, or other taxes in connection with Service including monitoring of Equipment and sales of any additional equipment; all charges made by anybroadband service provider or other utility installation, leasing or service of the broadband service, as applicable, any increase in electricity charges; or any building permit or other fees required under any ordinances or laws in order to install Equipment in Customer location. Customer is responsible for the initial testing after installation and then monthly testing of the product. The system components operate on batteries and therefore, it is the responsibility of the Customer to replace, test and change the batteries to ensure proper function of the system. Customer acknowledges and understands that the system does not detect the presence of smoke, heat or fire, rather, it relies solely on the detection of an audio alarm signal generated by an existing smoke, fire or carbon monoxide alarm or detector. The system must only be used in conjunction with fully-operational interconnected UL certified alarm/detectors, and in strict accordance with the installation and operational instruction. Customer is responsible to ensure that any and all smoke or fire or carbon monoxide detectors used in conjunction with the system are installed, maintained and tested in accordance with the manufacturer’s instruction. Monitoring Communication. The Equipment includes a communicator that sends signals to the Monitoring Facility over Customer's broadband service. Customer acknowledges that signals are transmitted over the broadband service provider's networks and are beyond the control of Fire Alert and the Monitoring Facility. Customer acknowledges that if the broadband service is disconnected in any manner whatsoever, or not working for any reason, signals cannot be transmitted to the Monitoring Facility. If the broadband service is out of order or otherwise not working, signals cannot be transmitted and Fire Alert will not know of the broadband service problem. TAMPERING WITH OR DISRUPTION OF BROADBAND SERVICE OR CUTTING OF BROADBAND SERVICE LINES WILL PREVENT THE TRANSMISSION OF THE SIGNAL. Fire Alert recommends Customer install and maintain appropriate battery backup. It is the sole responsibility of the Customer to provide adequate power back-up to the broadband communication equipment when used with the Equipment to help ensure uninterrupted communication access in case of power loss to Customer's premises. Customer acknowledges that failure to provide adequate power back-up during a power outage will disable communications to the Monitoring Facility and signals will not be send and, as a result, Customer's Emergency Contacts will not be notified. Customer agrees that Customer negotiated and executed this Agreement solely by means of Internet app, email, facsimile, mail, telephone and/or other Internet communications. Customer agrees to the terms of this Agreement, which together supersede any and all other agreements, understandings, representations, oral or written, and no other agreements exist, written or oral. Customer agrees to calls at the phone number provided, e-mails, text messages, mobile app notifications and website notifications from the Fire Alert, its contractors or its service partners during an emergency or at any other time to make offers for emergency service providers and contractors, or additional services and upgrades. The Customer agrees to telephone calls, cellular telephone calls and other communications from Fire Alert, and to provide information regarding the type and extent of an emergency event at the home. The Customer agrees that emergency events and changes to the service coverage may be reported to Fire Alert service providers, subcontractors, and the Customer’s Users, Contacts and homeowner insurance carrier of record. Notices and Legal Matters. This Agreement shall be construed and enforced in accordance with the laws of the State of Florida and the United States. Fire Alert is not bound by any change or waiver of any provision of the foregoing unless such change or waiver is signed by an authorized officer of Fire Alert. If a court of competent jurisdiction determines that any provision of this Agreement is invalid or unenforceable, that provision will be null and void to the extent determined by the court; however, each remaining provision in the entire Agreement will continue to be valid and enforceable. All notices under this Agreement MUST be in writing, signed and dated and are to be sent by postal service postage prepaid and addressed to Fire Alert at the address provided herein, or to Customer at the address provided. Customer will notify Fire Alert in writing of any change of address for the purpose of giving notices under this Agreement. Notices by Master are effective five days after mailing if mailed in accordance with this Section whether received or not. Fire Alert may contact Customer and Customer consents to be contacted by landline, wireless device, facsimile, e-mail, or other internet facilities, with respect to Equipment and services Fire Alert provides under this Agreement, as well as new offerings of systems or services Fire Alert may make available in the future. Telephone calls from Fire Alert to Customer may be placed using automated technology to which Customer consents. Before Fire Alert may contact the Customer by phone, the Customer must give Fire Alert express written consent. This consent is not implied by these Terms and Conditions, and this consent is not required to make a purchase. System Information and Disclaimer.Customer acknowledges and understands that the system does not detect the presence of smoke, heat or fire, rather, it relies solely on the detection of an audio alarm signal generated by an existing smoke, fire or carbon monoxide alarm or detector in close proximity to the Audio Sensor. The Smoke and Carbon Monoxide Audio Sensor is designed to detect a standard, temporal alarm audible signal pattern from an alarm sounder (such as a smoke, carbon monoxide, heat, or fire detector) and wirelessly transmit a signal to a compatible communication gateway which, if connected to a Monitoring Facility, will transmit a signal to such central monitoring station. The Audio Sensor is powered by a battery, WHICH MUST BE REPLACED AS NECESSARY. The Audio Sensor must only be used in conjunction with UL certified smoke or carbon monoxide detectors, and in strict accordance with the operation instructions provided with such wireless Audio Sensor or provided online in the Fire Alert’s website or apps. It is your responsibility to ensure that the Audio Sensor detector and the smoke or carbon monoxide detectors used in conjunction with the Audio Sensor are maintained and tested on a regular basis in accordance with all manufacturers’ Instructions. The Audio Sensor will not function if the battery is low or fails, or in situations where a fire causes electrical failure before the audible signal pattern is detected. WE EXPRESSLY DISCLAIM ANY RESPONSIBILITY FOR THE FAILURE OF THE AUDIO SENSOR TO DETECT THE PRESENCE OF SMOKE, HEAT, OR FIRE DUE TO THE FAILURE OF ANY SMOKE, HEAT, OR FIRE DETECTOR USED IN CONJUNCTION WITH THE AUDIO SENSOR TO OPERATE PROPERLY DUE TO ANY CONDITION, INCLUDING, BUT NOT LIMITED TO, IMPROPER INSTALLATION, OPERATION, MAINTENANCE, OR TESTING OF SUCH SMOKE, HEAT, OR FIRE DETECTOR, OR FOR ANY OTHER REASON. YOU MUST REPLACE BATTERIES INSIDE THE AUDIO SENSOR DETECTOR AS NEEDED. THE WIRELESS AUDIO SENSOR IS NOT DESIGNED TO TRANSMIT ANY TROUBLE OR SUPERVISORY SIGNAL DIRECTLY TO A CENTRAL MONITORING STATION. THIS SYSTEM MAY NOT BE COMPATIBLE WITH ALL FIRE OR SMOKE OR CARBON MONOXIDE ALARMS. If contract is filled out on the Internet: ELECTRONIC SIGNATURE DISCLOSURES I, the undersigned Customer agree: Fire Alert offers you the ability to read and agree to (give electronic consent to) your monitoring agreement using a mobile application or web site. These disclosures will help you decide whether you would like to continue with our electronic process or not. You must also be able to download the Fire Alert mobile app to your smart-phone. In order to use this web site, where available, your computer must have a typical web-browser. Most current browsers work fine. By using this web site or mobile app, you agree to use an electronic signature in lieu of a paper-based signature. You understand that an electronic signature, just like a signed piece of paper, is legally binding in the United States and in other countries. You agree not to electronically sign any form without first reading it and ensuring you have accurately filled out the form to the best of your knowledge, thus demonstrating that you are able to access the electronic information used by our system. You are not required to sign electronically if you prefer not to do so. To withdraw your consent to use electronic transactions, simply click the 'NO THANKS' button below. If you withdraw your consent, it will not affect the legal standing of any signed forms you may have submitted previously. By clicking on the “Agree and Submit Signature” button below you acknowledge that you agree to these important sections of the Monitoring Agreement. The Monitoring and Service fee for alert notifications and professional monitoring is paid monthly electronically as stated in Section 3., or is paid at another period as selected on a Fire Alert order or Agreement. The initial term of this agreement shall be one month commencing he date Customer accepts this Agreement or the date Customer activates service whichever is first. THIS AGREEMENT WILL AUTOMATICALLY CONTINUE ON A MONTH-TO-MONTH BASIS THEREAFTER, AS ALLOWED BY LAW, UNLESS Fire Alert RECEIVES A WRITTEN NOTICE OF CANCELLATION FROM CUSTOMER VIA ONLINE REQUEST, POSTAL SERVICE OR OVERNIGHT MAIL PER THE CANCELLATION POLICY IN SECTION 2. Internet service requirements as stated in Section 14 of the Monitoring Agreement. The arbitration policy as stated in Section 10.5 of the Monitoring Agreement. That the you negotiated and executed this Agreement solely by means of facsimile, mail, telephone and/or Internet communications. To use electronic communications, electronic records and electronic signatures rather than using paper documents for the forms provided on this site. To terms of this Agreement, including the credit card requirement, which together supersede any and all other agreements, understandings, representations, oral or written, and no other agreements exist, written or oral. That you have read and understand the Monitoring Agreement and Related Addenda in its entirety. You may CANCEL this transaction, without any penalty or obligation, within THREE (3) BUSINESS DAYS from thedate the equipment was purchased. If you cancel, any payments made by you under the contract will be returned within TEN BUSINESS DAYS following receipt by the seller of your cancellation notice. If you cancel, you must comply with the instructions of the seller regarding the return shipment of the goods at your expense and risk. To cancel this transaction, mail or deliver a signed and dated copy of this cancellation notice, or any other written notice or telegram, to Fire Alert. Pro Monitoring Yearly – You get the instant mobile alerts as well as 24/7 Professional Monitoring by our offsite monitoring center which is connected through your home’s wifi connection. When you receive the instant mobile alert, we do as well. If you acknowledge the alert as a false alarm, nothing further happens. If you miss that alert for whatever reason, we then call you and up to three other pre-selected emergency contacts before dispatching your local fire department and alerting them if you have a pet inside. If you’ve ever missed a phone call or text then this option is best for you. Every second counts in an emergency and a Monitoring Service can make the difference. 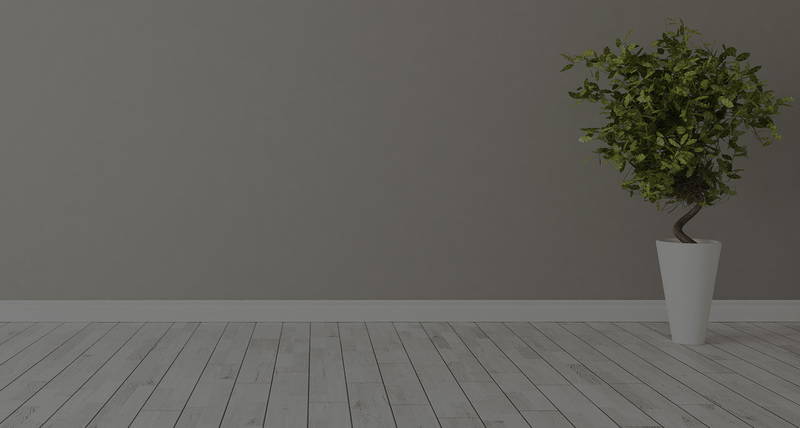 Most homeowner’s insurance companies will discount your insurance premium for having this option and in most cases that discount covers the yearly cost of our service.